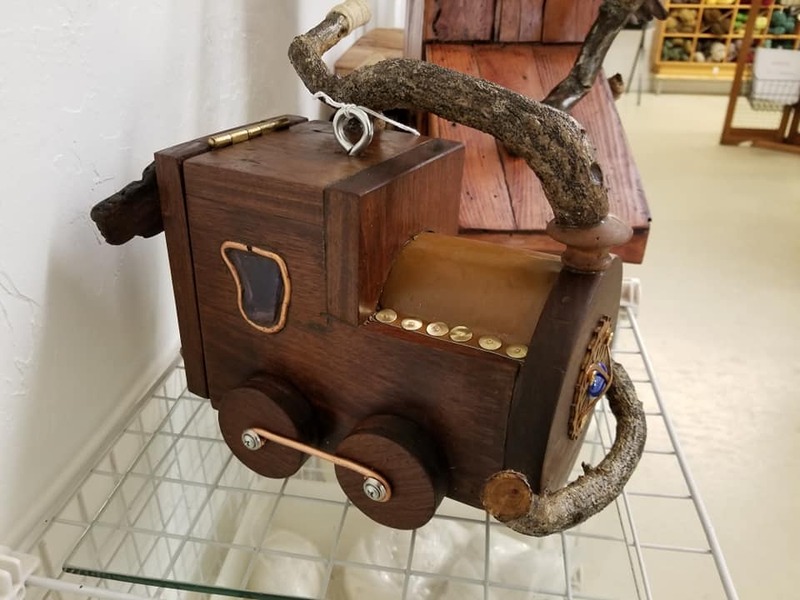 Elita Christensen's birdhouses available at the Artisans' Co-op. The items I use for my birdhouses may come from a project that has been torn down, or it may be weathered by sand and sun, but it is about 95 percent recycled. Working with wood most of my life, I still marvel at the beauty, texture, and warmth of each individual piece. I am excited to be able to share my love for wood and the treasures I see in it.